Short-lived perennial where winters are mild, but often grown as an annual in climates with warm days and cool nights. Keep well fed with liquid feed through midsummer. Feed less when plants begin to produce buds. Start seeds indoors 8 weeks before last spring frost, or buy rooted divisions in spring. Set out at about the time of the last frost. Need plenty of water, so mulch generously to keep the soil cool and moist. 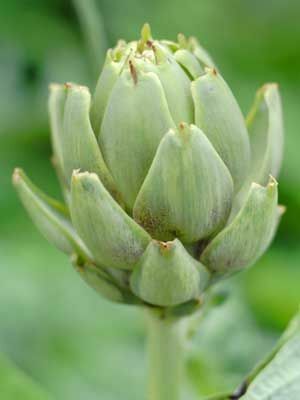 Artichokes grow best in cool, maritime climates, but a few plants are worth trying in any garden.